Master, teach us how to pray. When the disciples of Jesus confront him with their request that he teach them how to pray, we are told that they had just emerged from a certain place where Jesus engaged in prayer. Luke may have been content to leave it like that, but I do wish that in setting the scene he had been a little more specific. What kind of meeting place was it – a sacred place, a synagogue perhaps, or maybe a cell group meeting in someone’s house, or a garden even? One wonders, apart from their encounter with John the Baptist’s group, what prompted them to ask this particular question at this particular time. Might it have been something said in that time of prayer, something that pierced the heart and exposed the poverty of their own prayer life? Or, might it be more likely the sight of the Master at prayer? That is, if they were actually within that certain place alongside Jesus; another minor point of interest to the enquiring mind. At first sight, the question may have been asked spontaneously. On the other hand, it was the regular practice of a religious leader to teach his disciples a simple prayer that they might habitually use. Perhaps Luke is reporting a teaching moment and the question is one disciple’s response to a teaching session on the subject of prayer. The Gospel record of the event does not enlighten. We are taking a brief look at the prayer life of Jesus, and there are one or two other points that are worthy of notice. For instance, there is the striking fact that Jesus never argued for the validity of prayer any more than he argued for the existence of God. You do not prove the existence of God by argument. God is simply there, the beginning and end of experience. Just as we cannot prove God by argument, likewise prayer is not proved by argument. We may not understand it but to quote the hymn-writer, James Montgomery – Prayer is the Christian’s vital breath, The Christian’s native air. 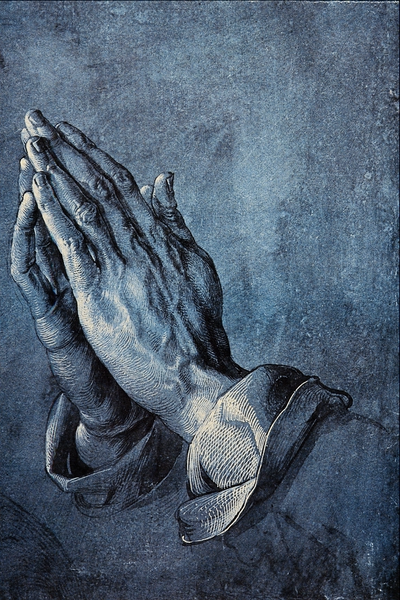 Defined by one commentator, prayer was our instinctive tendency, wrought into the very constitution of our nature. Hence Jesus never argued the matter. There was no need to argue, the praying Christ is the supreme argument for prayer. Prayer was not only an important part of his life, it was his life, the very breath of his being. This would possibly have stirred the conscience of the disciples, more than anything else, and prompted the enquiring mind to ask – Lord, teach us. And he did, superbly (an understatement) in the first great prayer he taught the disciples, Jesus said to them, when you pray say this, Our Father …. The first two words of the prayer we still pray more than any other and love, the Lord’s Prayer (often misnaming it the family prayer.) Jesus deliberately encourages us to use it. Speak your word of peace. Come to our hearts, possess them, liberate them……. This entry was posted in Prayer and tagged Jesus, Lord's Prayer, Prayer, Prayers on October 1, 2014 by Anabel @ The Glasgow Gallivanter. I do not understand prayer – the admission of a columnist writing in the denominational newspaper I receive weekly. Some of my readers will recognise the journal to which I refer, and his is not a lone voice. And here I am daring to add my name to the list of those who find prayer to be a mystery. Checking the records of my many sermons I am a bit surprised how few there are on the theme of prayer. I obviously did not consider it to be of importance, or that on this matter I felt theologically and spiritually insecure. Perhaps I should say immature. So, in search of a solution to my dilemma, I spent a fifteen week sabbatical reading and writing on “Spirituality with an emphasis on Prayer”. Rabbi Blue, whose writing rings a bell with me, argues that prayer should be simple, realistic and part of life’s normal routine; a statement I readily and happily endorse. He gives the picture of being at prayer relaxing in an armchair with a glass of port – a novel counsel! (Not meant to be taken literally, or is it?) The fifteen books I read and the twenty-one I consulted, not to mention the Bible or any of the great classics, reveal the complexity of the subject before us. It is highly unlikely that the disciples had any idea of what they were asking in their request to Jesus: Lord, teach us to pray – so many views and so many ways, visions, testimonies and unanswered questions. Prayer, the opening of ourselves to God, enables us to find our true self. Our true self opens the heart of God to God’s transforming grace. Despite our many words and great variety of theories prayer is not a fruitless exercise – it works (Harry A. Williams). As many of us can testify it is a large part in the rich tapestry of life. I cannot understand prayer – there is more to the quote: I do not understand electricity but I do not stop using it until I do understand. Prayer is the burden of a sigh; The falling of a tear; The upward glancing of an eye; When none but God is near. Lord, your will be done! How rich we would be if we were to gain financially every time we said, Lord, have your own way. Put us on oath in the witness-box and we would say, we mean it, every word. Yet how easily it falls from our lips. We forget how often we have not tried to understand or conform to your will. We like our own way; always have done ever since we had to be chastised as little children for our stubborn tantrums. We want to give a good account of ourselves on the day of judgement, not to look good or to be patted on the head, but because we bless the day it became possible for us to say: Take my will and make it thine; It shall be no longer mine; Take my heart – It is thine own, It shall be thy royal throne. Lord give us grace to keep our word, especially when our view is a minority one and we must abide by the majority, when we do not understand the way you are leading, when you lead us along a path we resent having to take. May the God who gives endurance and encouragement, give us the spirit of unity among ourselves as we follow Christ Jesus. Amen. Eternal and ever-blessed God, Lord of all life, below, above, you have the whole world in your hand. Is it true? It must be true. You are its Creator, Sustainer, Redeemer! It is what we believe – we believe in God, Creator of heaven and earth. It is not the whole truth – we believe in God the Father. Father God, may the love you had for Jesus be in us too. Lord, we believe there is nothing love cannot bear, there is no limit to its faith, its hope, its endurance. May love make us strong, imaginative and courageous in the service for which you have chosen us. Open our hearts and kindle within them the flame of your inexhaustible compassion that we may give ourselves anew to the needs of the community in order that the world may know you and the one you sent. Grant us in all our loving, our sharing, our doing, joy in full measure. Amen. Lord God, greater than our highest thoughts and our fondest dreams, our little minds cannot comprehend the majesty of your Being, the grandeur of your power, the wonder of your grace. You are God! God from the beginning to the end of time – and beyond. Time for us is measured in minutes, days and years. Time for you stretches into eternity. We are earth-bound. We live one day at a time. We may dream of tomorrow but tomorrow lies ahead – unknown and unexplored. We cling to life, your gift to us, to cherish and to enjoy. Enlarge our vision and strengthen our commitment to the challenges life brings as we continue on our onward way discovering and embracing life’s future for us. Eternal and Ever Blessed God, we worship and adore you. Amen. This entry was posted in Prayer and tagged Prayer, Prayers, Rabbi Blue on September 17, 2014 by Anabel @ The Glasgow Gallivanter. It is more than likely that, as opportunities arose, Jesus took his disciples aside and shared with them his understanding of the Life of Faith and, within that context, the life of prayer would certainly feature. The name Roland Walls was unknown to me until some years ago I found him on the shelves of my local library by chance. (Biography is my favourite reading.) I had forgotten all about him until I read a review of the recent publication of the book A simple life: Roland Walls and the Community of the Transfiguration. John Miller, the author, writes “Roland taught a generation how to pray and how to live both simply and joyfully.” It was not just what he said but how he lived the kind of life that convinced his students and friends that he was not just an academic but of being spiritual, a man of dedicated prayer. When I think of Roland Walls, I find it easy to transfer my thoughts to Jesus and his response to his disciples’ prayer request. Living with him every day, watching him in all sorts of situation, listening to his private talk, being admitted to sharing his dreams and hopes, they would gradually come to see things as Jesus saw them. In the fellowship of that small disciple band they would be witness to Jesus at prayer; at times listening in to some of Jesus’ intimate conversations with the Father and so learning the art of prayer. It seems to me there might be two ways of understanding what Jesus’ men were asking when they based their request on the witness/testimony of John’s followers, viz. the obvious impact of prayer determining the commitment and the shape of a dedicated life style, to treat it simply as a matter of reporting a historic fact. On the other hand might there not be more to it? Namely, the disciples were impressed by the astonishing impact and the remarkable influence of prayer. And they did not wish to miss out. Hence, teach us to pray like John did with his flock. Lord, we welcome you into our lives, we want to point our fellow men and women to you, fill us with your Spirit, set our hearts aflame with a passion to do the works of your kingdom – but, be gentle with us, go slowly with us, do not ask for anything too radical. You know what we mean, you understand, you came to comfort not to discomfort. What is that you say? If you are with me, deny yourself, take up your cross and follow. Lord, you got a handful when you chose us. Do not let it stop you from using us – minds and hearts are open. Amen. God, there are valleys in life into which we may stray where there do not appear to be any promises of sunlight after rain. It is dark – we tremble with fear. Faith does not appear strong enough to hold us. How silly we are; we have been here before: come out of it, found you because you have never left us. God, light shines again – we are unscathed: relief, deliverance, gratitude. God, time marches on – all is well, we forget. How mysterious, are your thoughts to me, how vast in number they are – your goodness and love unfailingly follow me, keep us ever praising. Praying some sayings of Jesus – follow each saying with the response: Lord, this is your word. Make us to be like you. Jesus said: I did not come to invite righteous people, but sinners. Jesus said: What does one gain by winning the whole world at cost to one’s true self? Jesus said: Whoever does not accept the kingdom of God like a child will never enter it. Jesus said: Anyone who wishes to be a follower of mine must leave self behind, take up his cross, and come with me. Jesus said: Father, all things are possible to you, take this cup away from me. Yet not my will but yours. Father help us to follow your good example in humility and obedience. Amen. This entry was posted in Bible references, Luke, Prayer and tagged Jesus, Prayer, Prayers on September 3, 2014 by Anabel @ The Glasgow Gallivanter. Heads bowed – eyes closed, prelude to prayer time. Reading this instruction, a lot of people will recall the enthusiasm of those far distant days in the Beginner’s in Sunday School with: eyes closed tightly, heads well bowed. Much the same in the earlier Primary classes in day school, possibly with a little less enthusiasm and a bit more peeping! What amazes me, when so many traditions in religious practice have bitten the dust, is that this mantra (in part) should still evoke a positive response. Let us pray is the invitation and the faithful instinctively shut their eyes and incline their head, ever so slightly. Why? Might be a reasonable question to put to them. After all, there is no recognized liturgical dictate requiring it. Of course I speak as a non-conformist – although it has to be said, things are changing. More and more who share the same view as myself prefer well produced and inspiring printed prayers, some with responses. Back to the question: why? One would hope heads do not drop and eyes close simply out of habit, or to catch a quick snooze, although I suspect this may be all too common. A great pity. Those who lead worship will have done their best to ensure that prayer time is given an adequate space and appropriate relevance. The days of the lengthy, wordy and rambling prayers are surely gone – hopefully! Were they ever close to being the best part of a fellowship or a time of worship? Heads bowed – eyes closed. As we try faithfully to live the Christian life, we can never escape the testimony of the saints, men and women of prayer, that prayer, whatever its form, is an essential life-shaping, life-sustaining and powerful influence in discipleship. Prayer – volumes have been written, volumes remain to be written and I am about to add to it. From this posting of my blog, and for a few subsequent issues, the pattern will change. We will on each occasion take a further and different approach to the subject of prayer. The blog will consist of a number of prayers with the minimum of comment. We may use them as we would a theological exercise, or share them in a smaller fellowship gathering as a devotional exercise. A few of the prayers are given a headline title, but this will not apply to the majority of then. Prayer is the soul’s sincere desire, uttered or unexpressed. Lord, there are people we will want to avoid today and if we happen to see them in time we will cross the street or turn to look into the nearest shop window. Some people do get into our hair. Forgive us if we are uncharitable. Fortunately there are those whose company it is always a joy to share. But are we any better than those, the sight of whom depresses and annoys? Lord, we hope that when people meet us they may feel better for having been with us. May ours be a good day because we have helped to make it a nice day for somebody else. Father God, we are a fickle people – headstrong, thinking we know best, looking back; wishing; resenting. Father God, loving, understanding; forgiving, restoring. Father God, we look ahead, hope in the heart, coping, we never walk alone. Father God, bless you, trust you, love you. This entry was posted in Prayer and tagged Prayer, Prayers on August 20, 2014 by Anabel @ The Glasgow Gallivanter. O you by whom we come to God, the Life, the Truth, the Way! The path of prayer yourself have trod: Lord, teach us how to pray. One of the things we need to learn about prayer is that God does not always appear to answer. “Many prayers reflect the mistaken Christian notion that prayer is a magic cheque upon the bank of heaven only needing the formal endorsement with Christ’s name to make it good for anything.” (Woodbine Willie, Bob Holman.) Sometimes there is no apparent answer to prayer because prayer is not the magic wand some folk imagine it to be. Prayer is not so much God doing things for us: prayer is God helping us to do things for ourselves. I do not think it is stating it too strongly, that God will never do for us that which we can well do for ourselves. Think back to schooldays and homework. In my day, if you did not do it or get it right, you might get the strap (happy days!) I did not get much help with homework at home. When one was struggling help would have been welcomed. It did not take me long as a parent to discover that I was of little help to our children. In Primary days – yes, but they soon got ahead of me! Still, when they got entangled with a problem I wished not only that I could offer suggestions, but that I could say to them, “Look, let me do it for you!” That would have been little help to the child. What a parent can do is to guide, support, encourage until the child can do for themselves. It’s like that with God. Real prayer does not release us or enable us to escape from the trials and difficulties of life. Real prayer does not promise or ensure that we shall live a trouble-free life. Prayer’s purpose is not to guarantee us a painless exit from an unhappy set of circumstances. Real prayer leads to a way through a situation; its promise – God will walk with us. And as we walk with him, each of us playing our part, together we continue to walk through the storm until ultimately we are walking in the light. Real prayer is the prayer not for safety but for courage. Courage to do God’s Will and, if not to conquer, the strength and the grace to endure – to get on with life. Because of these promises, God cannot be accused of not answering prayer; all prayers have an answer, but not always the one we had hoped for. If there comes to life a need for help – for prayer, it is never easy to accept that God has said nothing, done nothing, that our prayer appears to have gone unanswered. It is just one of the reasons why, even formerly committed and loyal believers turn away from the Faith and the church to join the ranks of the prayer shopping list brigade with their trivial and selfish petitions. I have been challenged in pastoral ministry on occasion to respond to folk seeking a satisfactory and no-nonsense reply to their assertion – He does not answer! I have referred above to the latest biography of Woodbine Willie (Chaplain to the Army in the First World War). Bob Holman, the biographer, added this strongly held opinion of Studdert Kennedy about magic wand prayers, “I believe we parsons are to blame. We have not told people the truth about prayer for fear of hurting their feelings.” There may be some truth in this, and for a long time I have tried to be careful in what I have included in the Prayers of Intercession at an Act of Worship. One thing is vital in our praying: prayer is not so much talking to God; it is not so much telling God what are our demands; real prayer is listening to God (why do we find silence so difficult and embarrassing ?) telling us what He wants us to do. This entry was posted in Prayer and tagged Bob Holman, Geoffrey Studdert Kennedy (Woodbine Willie), Prayer on October 23, 2013 by Anabel @ The Glasgow Gallivanter.